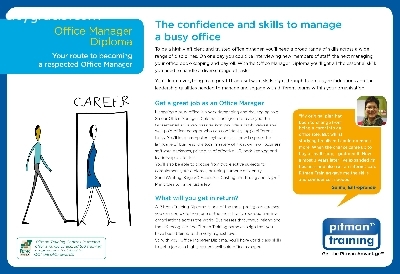 Get the confidence and skills to manage a busy office the Office Manager Diploma​ from Pitman Training Cork. To be a highly efficient and trusted office manager, you’ll need a broad range of skills across a wide range of disciplines. On one day you could be interviewing new members of staff, the next managing your office book-keeping and payroll. With the Office Manager Diploma you’ll get all the essential skills you need to handle a diverse range of tasks. Get a great job as an Office Manager! Managing a busy office is a very demanding and challenging role. So our Office Manager Diploma is designed to teach you the fundamental skills you need to turn you into a highly valued and well-paid office manager who can confidently juggle different tasks. You’ll learn computer keyboard skills, how to speak the language of business, the total mastery of most common business software packages, principles of effective HR, book-keeping and leadership attributes. You’ll also be able to choose from two elective subjects to complement your diploma, including numeric data entry, SpeedWriting, Sage 50 Accounts, Costing and Pricing and Payroll Priniciples to name just a few. 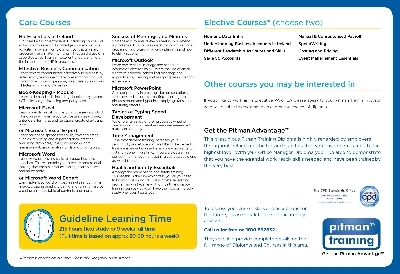 A Pitman Training Diploma is one of the most prestigious courses you can complete from one of the most highly regarded training organisations across the world. Businesses throughout Ireland and the UK recognise the Pitman Training name as a sign that you have been trained to the very highest level. So with your Office Manager Diploma, you’ll have world-class skills to get a job as a highly valued, well paid office manager.